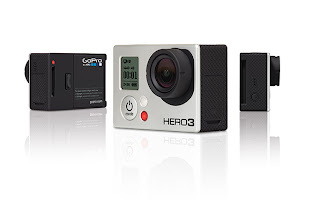 In this little post we are going to analyze the traffic of this tinny but powerful camera: GoPro Hero 3. May be there is someone that did not know but the GoPro's serie 3 (Hero 3) got embedded WiFi feature that give you the functionality to control the cam and see it in real time. The same function can be added for the Hero2 buying the wifi backpack, that works just same like the embedded in the hero 3. The camera got a direct button to start this feature (turn on the wifi). This button start the AP mode of the wifi and start an embedded web browser. The default SSID for the wifi is something like "GOPRO-BP#####" (where # part of the serial number of the camera), new firmwares come with just "goprohero" as default ssid, and without any password. TO change the ssid and the password of the camera you need to follow steps that basically re flash the firmware of the camera (is not something that normally people do...). To access to the features of control the cam you need to connect to the wifi. If the DNS query is responding, the app starts making petition to the url of the GoPro (The web server on internet of the brand) and youtube channel too, starting to show on the app the Videos of the days. The reply to this GETis a file called SD, this file contains the password of the SSID of the cam. Yes, in plain text. The same password that you need to execute future functions on the cam, the cam itself give it to you. I guess this is for easiest way to use the app (for beginners users). The app start making this GETs every 2 seconds. The reply is a 12 Bytes file called SE with some data (no in plain text) of the cam. Like, battery level, for example, and used like a "ping" to know the cam still there. From now, all the "commands" sent to the camera are with the parameter "t" with the password, in plain. Also when you are upgrading the firmware (or just changing the ssid and password) the software just let you put numbers, letters, @, - and _. No special characters, because this will broke in some cases the URL for commands. So we know what characters we are not going to use when cracking ;). Command PW: To power on and off the camera, value %01 power on and %0 0 to off. Command SH: Enable or Disable the shutter, depending on what mode the camera is. If you are in photo mode, %01 will take a photo. if you are in video or time lapse mode, %01 will start the recording and you will need to send to stop the %0 0 recording. Its almost the same like hit the physical button . The command CM changes the camera mode (the starting mode is not altered). Command VR change the Video Recording formats. The command TM sets the date to the internal clock of the cam. Command LL start the buzzer to easily found your camera (following the sound). This beeps sounds will keep runing until you send the %0 0 value. The command CN changes the internal camera's name (not the WIfi SSID). Command DL deletes the last file on the SD. This command deletes all the SD content (Including the .LRV files (.LRV files are lower video quality files generated by the camera during the recording). Does not format the SD and does not delete any other file (For example a file that you copy to the sd. 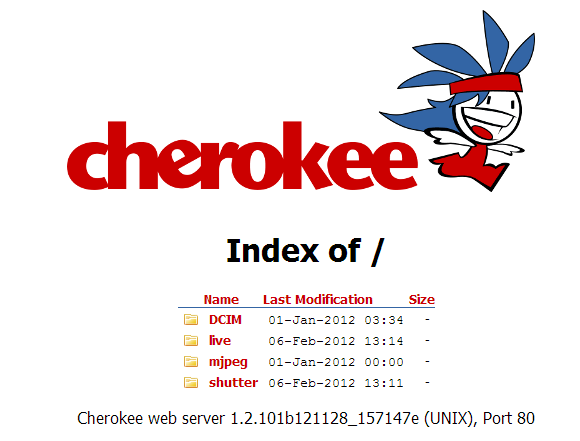 Also the JAVA applet from gopro.com that help you to update the camera, get this file. Same happens if your gopro get out of battery or you shutdown the wifi physically on the cam. Like we said early, because the limitation of characters on the password (that will be send on the url) you know that there is not special character on the wifi password, may be making a little (just a little) less complicated to make a brute force on the wifi password. If you have access to the Wifi of the cam, you got access to everything. Its very common that a normal user will not change the wifi settings, so there is a lots of cams arround the world, with no password. Remember that change the ssid and password involves to re flash the camera. You got full access to the firmware files (even to gopro guys put all in open source). Making a little more easy take a look to the source code. R video out – component Pb/Cb or composite (composite video out activated by grounding ID3 and ID4, component video out activate by grounding ID2 – only valid for old firmwares, current versions require eeprom). Adapter output – power output for external equipment (follows internal battery power). VBat+ external power input ?